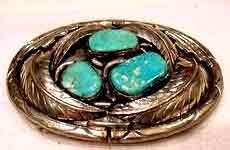 Navajo sterling Belt Buckle with Turquoise Nugget. Sterling Silver Belt Buckle weighs 67 grams and measures 3 inches wide by 2 inches tall, accomodates up to 1-1/2 inch wide belt. Excellent condition. Usually ships in 2-3 business days. Navajo sterling silver belt buckle with turquoise chip inlay and stamped designs.The inlay is set into bezels that have bead and rope-twist designs around the borders. The buckle measures approx. 3" wide by 2.5" tall and accomodates a belt up to 1-1/2 inches wide. The sterling silver buckle weighs 49.2 grams. Usually ships in 2-3 business days. Vintage Navajo sterling silver belt buckle with 3 turquoise nuggets and beautiful designs .The buckle measures approx. 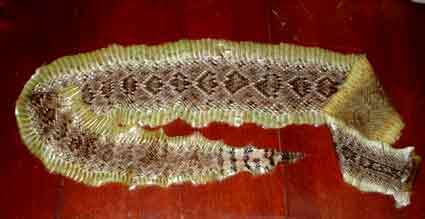 3-1/2" wide by 2-5/8" tall and accomodates a belt up to 1-1/2 inches wide. The sterling silver buckle weighs 67 grams. The buckle carries the makers mark (PJ) and usually ships in 2-3 business days. Massive Navajo eagle buffalo nickel buckles and Turquoise and Coral Nugets. This massive buckle is 6-1/8 inches wide, 4" tall and fits a 1 3/4" wide belt. Weighs a hefty 364 grams. Beautiful artwork. Antique Navajo sterling silver belt buckle, with a turquoise nugget and stamped sterling on the back. The sterling silver belt buckle is 3" wide and 2 1/8" long and can accommodate a belt up to 1-1/2 inches wide. The vintage buckle weighs over 29 grams and is in excellent condition. Vintage Navajo sterling silver belt buckle, with one turquoise nugget and one coral nugget. The sterling silver belt buckle is 3" wide and 2 1/2" tall and can accommodate a belt up to 1-1/2 inches wide. The vintage buckle is in excellent condition. Vintage Navajo sterling silver belt buckle with turquoise and coral. The buckle has very nice filigree design. The sterling silver belt buckle is 2 1/2" wide and 2 inches tall and can accommodate a belt up to 1-1/2 inches wide. The vintage buckle is in excellent condition. Antique signed (CB) Navajo sterling silver belt buckle, with turquoise and marked on the back. The heavy sterling silver belt buckle (95 grams) is 3-1/2" wide and 2 3/4" long and can accommodate a belt up to 1-3/4 inches wide. The vintage buckle is in excellent condition. Made by Native American Artisan (Charlie Bowie). Vintage Navajo sterling silver shadow box belt buckle with two turquoise and one coral nugget. The buckle is 3" wide by 1-3/4 inches tall and weighs 56 grams. The vintage buckle is in excellent condition. Vintage Navajo sterling silver belt buckle signed. This striking belt buckle has two coral nuggets and a turquoise nugget with a beautiful geometric pattern. The heavy (105 gram) sterling silver belt buckle is 3.75 inches wide and 3 inches inches tall and can accommodate a belt up to 1-5/8 inches wide. The vintage buckle is in excellent condition. Zuni Custom Turquoise/Coral Sterling Silver w/Gold Plating Highlight Belt Buckle. The sterling silver belt buckle with Turquoise and coral nuggets is 2" wide X 1-1/2" tall X 1/4" high, and accommodates belts up to 1-1/4" wide. The vintage buckle is in excellent condition. Vintage Jerry Roan Sterling Silver with red coral and turquoise belt buckle signed JR. This vintage native American buckle is signed by Jerry Roan, a designer, jeweler and silversmith at the Carl & Max Luthy shop in New Mexico during the 1960's and 1970's. The back carries Roan's mark. The classic Native American western design features turquoise and coral nuggets surrounded by silver twisted scrolls, leaves, and squash blossoms on a large heavy sterling silver base measuring about 4-1/8ï¿½ x 3ï¿½. The bale will accommodate up to a 1.75ï¿½ wide belt. Beautiful Zuni double owl design using mother of pearl, onyx, coral and shell. Classic buckle is 2-1/4" wide, 1-1/2 inches tall and accepts a belt up to 1-5/16" wide. Buckle is unmarked but tests as Sterling Silver. Buckle weighs 35 grams. Massive (288 grams) Navajo silver buckle, almost 6 inches wide by 4-1/8 inches tall. Beautiful Navajo design features 4 turquoise nuggets, 6 coral nuggets, fancy scrollwork and a huge eagle in the center of the buckle. Fits a 1 3/4" belt. Beautiful Navajo (marked)sterling silver buckle, 3" wide by 2-1/2" tall. Fits a 1 3/4" belt. Weighs a hefty 94 grams. Beautiful turquoise. Beautiful nickel silver buckle with inlay coral and large turquoise nugget, 3" wide by 2-1/2" tall. Fits a 1 1/2" belt. Beautiful Navajo silver buckle with three buffalo nickles and buffalo with turquoise and coral nugets, 3" wide by 2-1/2" tall. Fits a 1 3/4" belt. Weighs a hefty 60 grams. Beautiful turquoise. Beautiful Navajo (marked)sterling silver buckle, 3" wide by 2-1/2" tall. Fits a 1 3/4" belt. Weighs a hefty 61 grams. Beautiful Navajo silver buckle with turquoise and coral nugets, three buffalo nickels and a 3-D buffalo, 3" wide by 2-1/2" tall. Fits a 1 3/4" belt. Weighs a hefty 61 grams. Beautiful buckle. Beautiful Navajo silver buckle with turquoise and coral nugets, two buffalo nickels and a 3-D eagle with scrollwork, 3" wide by 2-1/2" tall. Fits a 1 3/4" belt. Weighs a hefty 61 grams. Beautiful buckle. Beautiful Sterling Silver (marked) Turquoise and coral Navajo antique belt buckle. Very nice turquoise and coral set in sterling silver buckle. 3" wide by 2" tall. Fits a 1 1/2" belt. Weighs 58 grams. Signed & J The turquoise stone is 1 5/8" wide by over 1" tall. About 1/4" thick. Excellent condition. Beautiful antique Navajo sterling silver buckle. Extremely rare JW TOADLENA belt buckle made of sterling silver and has been positively tested for Sterling silver. The buckle has a beautiful piece of ROYSTON turquoise and beautiful detail throughout the entire piece! The buckle is 3-5/8 inches wide, 2-3/4 inches tall and accomodates a belt up to 2 inches wide. This belt buckle weighs a massive 87.3 grams! Ships in 2-3 business days. Beautiful antique Navajo sterling silver buckle. Vintage J. Nezzie (marked) Sterling Silver buckle. Beautifully hand crafted buffalo design with turquoise and coral chips. Buckle is 2-7/8 inches wide and and 2-1/4 inches tall and accomodates a belt up to 1-1/2 inches wide. Ships in 2-3 business days. Beautiful Zuni Sterling silver with inlaid turquoise. Sterling silver buckle is marked RHC. The Buckle is 2 inches wide by x 1 3/8" tall and marked 'RHC'.The buckle can accept a buckle up to 7/8" wide. Ships in 2-3 business days. Beautiful Navajo Sterling Silver belt buckle with Turquoise and coral nuggets. Buckle is 3 inches wide, 2 inches tall and and accomodates a belt up to 1-1/2 inches wide. Ships in 2-3 business days. 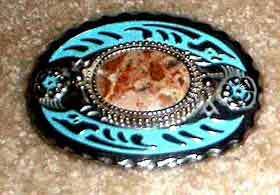 Zuni Belt Buckle Turquoise and Sterling silver Stamped RHC . Buckle is 3 5/16" Length x 2" Width and accepts a belt up to 1-1/2" wide. Ships in 2-3 business days. Beautiful Sterling Silver (marked) and 18K gold plated ranger buckle set. Weighs 65 grams. Beautiful Navajo made, signed by maker and stamped Sterling, signed by maker, D.C. Thomas. The buckle tests as Sterling Silver 925 and weighs 25 grams. The design features 2 Natural Coral Gemstones and 3 Natural Turquoise Gemstones. The buckle is approx. 2-1/2 inches wide. Generally ships in 2-3 days. 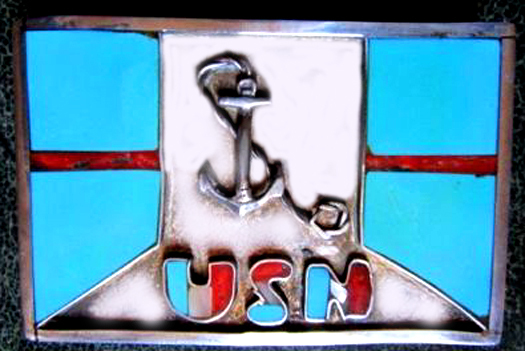 Beautiful Navajo made United States Navy Sterling Silver Turquoise Belt Buckle with silver anchor. The buckle is made of Sterling Silver, Turquoise, Spiny Oyster & Mother of Pearl. and signed JFRD . The buckle measures 3-3/8" wide x 2 1/4" tall and handles up to a 2" wide belt. Generally ships in 2-3 days. Beautiful Navajo made Sterling Silver with Turquoise mount belt Buckle It is about 2" long and a little over 1 1/2" tall and stamped sterling. Beautiful Navajo made Sterling Silver old pawn belt buckle. The buckle weighs just over 57 grams and measures 3 inches wide by 3 inches tall and takes a belt up to 1-3/4 inches wide. Made by Santo Domingo Kewa artisan David F. Garcia, this beautiful sterling silver belt buckle is gently domed and has a turquoise stone decorated with unique applique and deep stamping. It measures 3" long, 2" wide and fits up to a 1 & 3/8" belt. The back is signed David F. Garcia and acid tests for sterling. Beautiful Navajo made, signed by maker and stamped Sterling, this beautiful buckle can accommodate a belt up to 1-1/2 inches wide. Beautiful Navajo made Sterling silver buckle (stamped sterling). The solid silver buckle is approx. 2-3/4 inches wide and 1.35 inches tall and can accommodate a belt up to 1-1/4 inches wide. Beautiful Navajo made, signed by Navajo artisan D.C. Thomas and stamped Sterling, this beautiful buckle can accommodate a belt up to 1 inch wide. The beautiful buckle weighs 26.8 grams and features 2 Natural Coral Gem stones (known as red gold nuggets) and 3 Natural Turquoise Gemstones. Gorgeous old pawn Navajo turquoise and coral design Sterling Silver (marked) and stamped by maker, BT. The sterling silver buckle measures 3 inches wide by 2 inches tall and accommodates a belt up to 1 inch wide. The buckle weighs a hefty 49.5 grams. 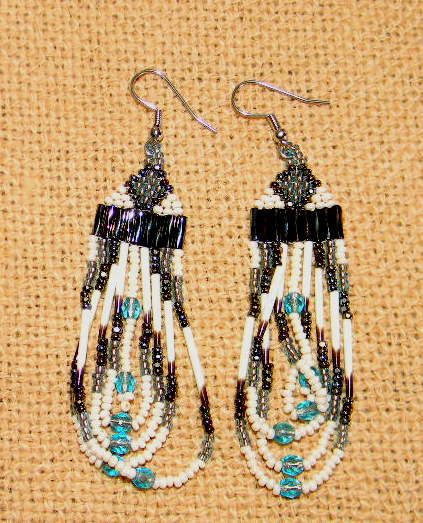 Beautiful Navajo made, Sterling silver with 4 beautiful turquoise nuggets embedded with beautiful feather metalwork. The buckle is 3 1/2" wide by 2-1/2 tall and fits a Belt up to 1 3/4" wide. Beautiful two running horses with embedded turquoise design signed by artisan B. Ray. Oval buckle is 3 1/2" wide by 2-1/2 tall and fits a Belt up to 1 3/4" wide. Heavy Native American design silver (not sterling) with turquoise nugget and beautiful design. The buckle is 3 1/2" wide by 2-1/2 tall and fits a Belt up to 1 5/8" wide. The face of the Oval buckle features sterling silver plating and embedded turquoise and coral for the feathers and mother of pearl for the fur strips. The back of the buckle is a silver colored metal but not sterling silver. The buckle is almost 4" wide and 3' tall and fits a Belt up to 1 3/4" wide. Beautiful Navajo made, Sterling silver buckle with native american metalwork. The buckle is 2" wide by 1-1/2 tall and fits a Belt up to 1" wide. Beautiful Hopi made sterling silver and turquoise belt buckle with beautiful sawtooth and bezel work. The sterling silver buckle weighs a hefty 54 grams and is 3" wide x 2" high and accommodates a belt up to 1 3/4". Beautiful Navajo made, Sterling silver turquoise red coral Navajo belt buckle signed by maker, NJ tosie. Another highly collectible Navajo sterling silver buckle. Collectors item. 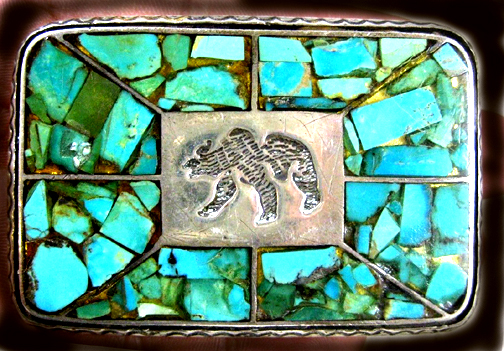 Beautiful Navajo Sterling silver buckle with inlay turquoise and an etching of a bear in the center. This sterling silver buckle weights a whooping 68.5 grams, is 3" wide X 2" tall and can accommodate a belt up to 1-1/2" wide. 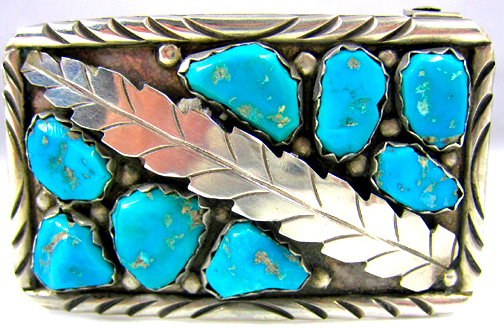 Beautiful Zuni signed (A-PENKETEWA) and tested Sterling silver (32 grams) belt buckle with 8 Turquoise Nuggets. This buckle is 2.5 inches wide, 1-1/2 inches tall and accomodates a belt up to 1-3/8 inches wide and 1/2 inches thick. Great buckle design. Collectors item. Beautiful Navajo Sterling silver 3-d design buckle with stunning turquoise nugget and beautiful 3-D artwork. This sterling silver buckle weights a whoping 71 grams, is almost 4 inches wide X 3-1/4 inches tall and can accommodate a belt up to 1-5/8" wide. Beautiful Navajo made, sterling plated front design over a nickle silver backing. Nice turquoise nugget and small coral nugget. Beautiful vintage signed Sterling Belt Buckle. Marked Morty Johnson STERLING, Navajo silversmith. The buckle is 3" long and 2" tall. Weigh 52+ Grams. Beautifully detailed with leaf, flower and swirling tendrils as well as coral and turquoise. Navajo Sterling Silver (marked) Turquoise Belt Buckle by Navajo artisan "TKE". Oval Buckle design incorporates 19 beautiful turquoise settings. Buckle weight is 70 grams. The buckle is over 3 inches wide, 2-3/8 inches tall and accommodates a belt width up to 1-3/8 inches. Beautiful Navajo made, Sterling silver (marked) belt buckle with 24 red coral cabocchons. There is a maker's mark (sun rays) on the back. Can be used with any standard belt up to 1 1/2" wide. Stamped Sterling Silver. Weighs 32g. Overall width is 3" and measures 2 3/8" top to bottom. Beautiful Navajo made, Sterling silver turquoise and coral belt buckle marked sterling, and the maker mark," K". The buckle measures 3 1/4" x 2 1/2"and supports a belt up to 1 1/2" wide. The buckle has Beautiful detail in silver around the edge of the buckle. Large Sterling Turquoise Coral Faux Bear Claw Belt Buckle stamped ATKINSON TRADING CO. 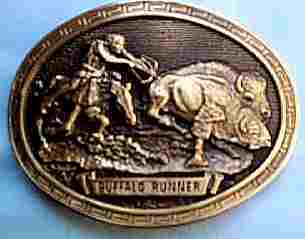 Numerous Native American silversmiths produced belt buckles for Atkinson Trading Company in the 1970's. The Sterling Silver marked belt buckle weighs a hefty 93.4g. The turquoise settings measure approximately 1/2" by 3/8". The coral setting measures 7/8" by 5/16". The Sterling buckle has the Atkinson's shop hallmark stamped on the back and it has been tested and examined for purity and is sterling silver. The buckle measures 3-3/4" long and 3" wide and can accommodate a belt up to 2" wide. Beautiful Navajo made, Sterling silver Vintage Signed M Thomas Sterling Navajo Turquoise Coral Belt Buckle. Beautiful buckle measures 3.5" wide X 2.75" tall, fits a belt up to 1-1/2 inches wide and is signed M THOMAS. The buckle weighs 78 Grams. Vintage Navajo Sterling belt buckle signed by Navajo artisan, "J" Julia Smith. The Sterling Silver (weighing 61 grams) & marked buckle features 29 deep red color irregular shaped Mediterranean Coral stones are set in Saw tooth bezels. The buckle is 3 ï¿½ï¿½ wide x 2 3/8ï¿½ tall and supports a belt up to 1-1/2 inches wide. Vintage sterling silver belt buckle with turquoise and red coral bezels and nice old bear claw. 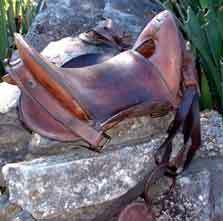 Buckle is 3 inches wide, 2-3/8 inches tall and supports a belt width up to 1-3/8 inches wide. Buckle usually ships in 2-3 days. Elegant handcrafted signed Navajo sterling silver belt buckle signed by Navajo Artisan "R. Peter". The Sterling Silver belt buckle measures 3" wide by 2" tall and will fit a belt up to 1-3/4" wide. The belt buckle weighs 30.1 grams. The turquoise has a gorgeous blue hue and pretty matrix. Buckle usually ships in 2-3 days. NATIVE AMERICAN, STERLING SILVER, STAMPED, DOMED, 21 TURQUOISE CABS, HANDMADE, VINTAGE BUCKLE. This buckle weighs 66.5 grams. The buckle's measurement is 2-15/16" wide by 2" tall . The swivel crossbar on the back can handle a belt that is up to 1- 1/4" wide. Buckle usually ships in 2-3 days. Turquoise and coral sterling silver buckle is 3" wide x 2 1/2" tall, signed by Navajo artisan and weighs 68 grams. Very nice turquoise and coral gemstones set in a sterling silver buckle. This beautiful buckle can accommodate a belt up to 1-1/2" wide. Buckle usually ships in 2-3 days. Gorgeous highly collectible Navajo Sterling silver buckle signed by Navajo Artist Ella Peter and stamped Sterling. Beautiful sterling buckle features 25 Kingsman turquoise gemstones (highly sought for their brilliant blue color) set to perfection and accented with Sterling silver beads. The impressive sterling and turquoise belt buckle measures 3 inches wide by 2-1/4 inches tall and accommodates a belt up to 1-1/4" wide. Buckle usually ships in 2-3 days. Smaller Turquoise and sterling silver buckle by Navajo jeweler A Penketewa (signed). Beautiful sterling buckle measures 2-1/2 inches wide and 1-5/8 tall and weighs 24.2 grams. This beautiful buckle can accommodate a belt up to 1-1/4" wide. Buckle usually ships in 2-3 days. Vintage Sterling and Turquoise belt buckle is 3-1/8" wide x 1-7/8" tall, signed by Navajo artisan JG and weighs 41 grams. Very nice turquoise set in a sterling silver buckle (not marked but tested for Sterling Silver). This beautiful buckle can accommodate a belt up to 1-1/8" wide. Buckle usually ships in 2-3 days. Native American Navajo Sterling Silver Turquoise Belt Buckle. It measures 2-3/4 inches wide by 1-1/4 inches and accommodates a belt up to 1 inch in width. Sterling buckle is a well made heavy sterling piece. Buckle usually ships in 2-3 days. Sterling Silver concho belt buckle with a large oval light blue stone in the center. The back of the buckle is stamped "Marcella James Sterling". The buckle measures roughly 3.25" by 2.5" and the bar on the back that the belt goes through can take up to a 1.5" belt. Buckle usually ships in 2-3 days. Navajo Indian Jewelry Sterling Silver Turquoise Belt Buckle by Navajo artisan, Carson Blackgoat. Navajo Indian Sterling Silver Belt Buckle from Western New Mexico. This buckle features a beautiful hand cut design. The sterling silver is polished and hand stamped throughout. 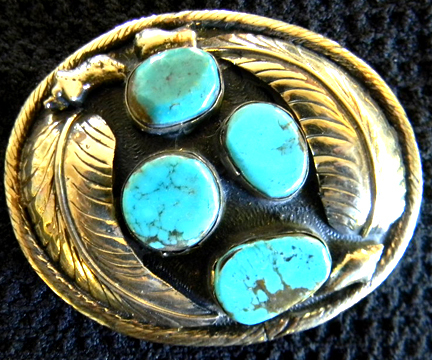 Centering the buckle is a genuine Turquoise stone. Navajo Indian handmade by Carson Blackgoat. Signed and stamped Sterling on the back. 3" wide, 2 1/2" Tall, and supports a belt width up to 1-1/2" wide. The sterling buckle weighs 32 Grams. Buckle usually ships in 2-3 days. Zuni Sterling Silver and turquoise belt buckle weighing 37 Grams and containing five turquoise gemstones. 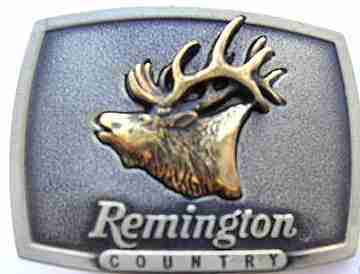 Beautiful engraved.This buckle is 3-1/4" wide by 2" tall. Buckle usually ships in 2-3 days. Very nice turquoise and coral set in sterling silver buckle. 3" wide by 2 1/4" tall. Fits up to a 1 1/2" belt. Weighs 52 grams. Very nice silver work. Excellent condition. Buckle usually ships in 2-3 days. Rugged Turquoise and coral sterling silver horseshoe buckle 3 7/8" wide x 3" tall and fits a belt up to 2" wide. Rigid belt keeper.. Weighs 71 grams. Buckle usually ships in 2-3 days. Native American sterling silver belt buckle with turquoise and coral; weighs 34 grams and is signed RSP and Sterling. It measures about 3 inches by 2 inches. Buckle usually ships in 2-3 days. Stunning Navajo made, Vintage Sterling Silver & Turquoise Belt Buckle. Stunning Navajo made, sterling (marked) belt buckle. Classy contains 3 Turquoise and 2 Coral Nuggets and measures 3-1/2 inches wide and 2 inches tall and accommodates a belt up to 1-1/2 inches wide. Stunning Navajo made, sterling (marked) belt buckle contains 8 Turquoise gemstones. The belt measures 3-1/2 inches wide and 2 inches tall and accommodates a belt up to 1-1/2 inches wide. Stunning Navajo made, sterling (marked) belt buckle. Classy contains 5 Turquoise Nuggets and measures 3-1/2 inches wide and 2 inches tall and accommodates a belt up to 1-1/2 inches wide. Turquoise and sterling silver Navajo belt buckle. This one is 3" wide by 2 1/8" tall and accommodates a belt up to 1-1/2" wide. This buckle has 3 nice silver mounted turquoise nuggets, is Signed by the Navajo artisan and has some great stamp work. .
Beautiful Zuni Turquoise Stone-on-stone Mosaic Sterling Silver Buckle. A beautifully made blue and green turquoise stone-on-stone mosaic buckle. 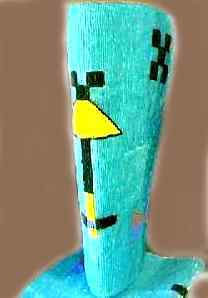 The mosaic is of polygonal turquoise cabochons in two colors; Sky blue with black matrix, and pale green with brown matrix; A single lathe of MOP in the upper right field. The back and frame elements are Sterling Silver. Although unsigned, this work is characteristically Zuni in style. The buckle is 3" wide by 2 1/8" tall and accommodates a belt up to 1-1/2" wide. Generally ships in 2-3 days. Vintage 925 Sterling Silver & Turquoise Large Belt Buckle w/Eagle. Vintage sterling silver oval belt buckle with an eagle, turquoise and coral. Buckle is 2-3/4" wide x 2-1/8" tall and weighs 37.54 grams. Navajo Turquoise Sterling Silver Belt Buckle Danny Chee Vintage Old Style. Vintage sterling silver and brass belt buckle in great condition! It has a sleeping beauty turquoise stone and a coral stone and a nice weight of 43.9 grams. 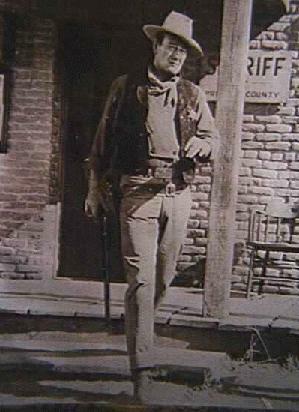 The pistol, boot and saddle are brass. Everything else is sterling and has been tested. Great piece and hard to find!! Old Native American Navajo sterling silver Bear chip inlay Turquoise belt buckle. Buckle is 3" wide x 2" tall and wights 58.8 grams . EFFIE C. ZUNI Snake Sterling Silver Turquoise Belt Buckle . This is a smaller buckle ( 1-7/8 inches wide & 1-1/8 inches tall). Made for a belt that is under 3/4 of an inch wide. Stunning C.W. MORGAN turquoise sterling silver buckle. Very nice vintage turquoise and repousse sterling silver buckle. 3 1/4" wide by 2 3/4" tall. Fits a 1 1/4" belt. Weighs 66 grams. Nice stamp work. The stone is perfect. Beautiful Navajo made, sterling belt buckle. Classy contains one Turquoise Nugget and a sandstone polished gemstone.. beautiful design. Buckle measures 3-1/2 inches wide and 2 inches tall and accommodates a belt up to 1-1/2 inches wide. 46 gram Sterling Overlay belt Buckle w/Stone to Stone inlay by Navajo artisan, T. (Thomas signed. 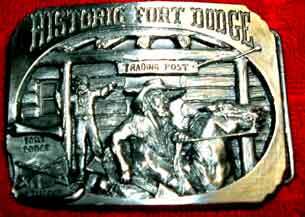 ).coin silver or better buckle has a central overlay section accented with dramatic stylized Native American symbol cut outs. On either side of the overlay are sections of stone to stone inlay made using Kingman turquoise. The cut out in the overlay is expertly done with crisp lines and precise cuts. And the stone to stone turquoise inlay is relieved where the stones meet. This is more labor intensive than regular stone inlay due to the fact that the artist bevels or "relieves" the sharp angle where the stones meet each other. We know T. Thomas is a Navajo artist who began silver work about 1974 and his long career shows in the level of expertise seen in the construction of this buckle. The buckle measures 2 7/8 inches by 2 3/8 inches, will accept a 1 ï¿½ inch wide belt, and weighs 45.9 grams. The back of the buckle is stamped "T. Thomas". 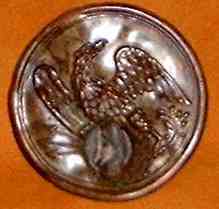 Although the buckle is not marked for silver content it tests as at least coin silver (900) and is probably sterling (925). Stunning Navajo Sterling Silver Turquoise Coral Belt Buckle Signed "CJT" | J . Native Americans from the southwest have paired turquoise with red materials in their jewelry for a long time. Its a beautiful combination of colors and contrast and rooted in symbolic meaning. Coral is not found in any ocean of the Americas. Therefore any "red gold," (often called by some artists) that was used in jewelry would have come to the Americas through trade or "Wampum" (trade beads) after the Spanish Conquistadors arrived in 1521. The bright red Mediterranean coral is rare today. The buckle measures 2-15/16" long, 1-15/16" wide and weighs 51.9g. Accommodates a belt up to 1-1/2" wide. The back of the buckle is stamped with the maker initials, CJT. The buckle has been tested and examined for purity and is sterling silver. . This is a gorgeous vintage piece in excellent conditionmarked "Plata De Jalisco 925 V.H.L.C. Gaud. Mex." and measures approximately 3 1/2" long x 2" wide. Weighs approximately 52 grams. Native American Indian Sterling/Turquoise/& Coral Belt Buckle Sgnd. W.Y. #62 Very Nice Historical Native American Indian Sterling/Turquoise/& Coral Belt Buckle(Signed W.Y. 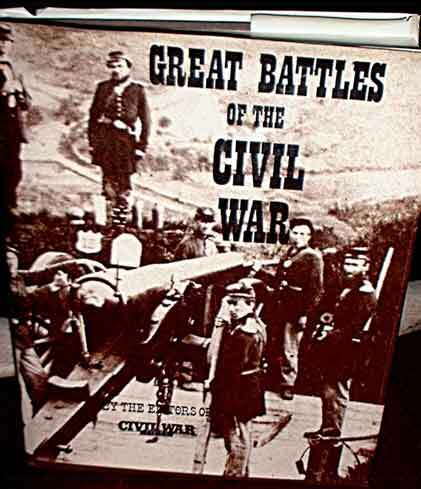 on back). Measures 2-1/4 inches wide and 1-1/2 inches tall. Navajo maker (JOEBA) stamped Sterling Silver belt buckle. This beautifully crafted buckle features 11 turquoise gemstones in sterling settings and a beautiful feather design. The marked buckle is 3 inches wide by 2-1/2" tall and can accomodate a belt up to 1-3/4 inches wide. Native American Sterling Silver (marked) Belt Buckle. The buckle is 3 inches wide and 2-3/8 inches tall and weighs 68 grams. Beautiful design features a coral and turquoise nugget and a bear claw with lots of silver work. Rare Old Pawn Native American Sterling Silver belt buckle with Huge Turquoise nugget estimated at 130 carats. The nugget has a hairline crack running the width of the nugget but is securely attached and does not detract from the beauty of the design. Beautiful Native American Sterling Silver (tested) . The belt buckle measures approximately 3.5" x 2.5" , Turquoise measures approximately 3 inches at its widest point x 2-1/4 inches and is estimated at over 150 carats. Total Weight is 96 grams. Signed LB or BL. Sterling silver belt buckle with red and blue turquoise, Marked Angie C. for Angelita Cheama. Buckle is 2-1/2 inches wide, 1-3/4 inches tall and accomodates a belt up to 1-1/4 inches wide. The antique buckle weighs 26.9 grams and is in excellent condition. Vintage Native American "Mexico" Sterling Silver Heavy Belt Buckle Signed Vintage Native American "Mexico" Sterling Silver Heavy Belt Buckle, Signed. Weight: 53.5 grams. Dimensions: 3-1\3" wide by 2" tall. AUTHENTIC NAVAJO L BEGAY STERLING SILVER CARVED TURQUOISE BELT BUCKLE Metal: Sterling Silver. Gram Weight: 37.7g Thickness: 7/16". Length: 1-5/16". Width: 1-3/4". Belt size: up to 7/8". Signed L.Begay, Sterling Silver narrow Belt Buckle with Carved Eagle into Turquoise gemstone. Large Navajo Sterling Silver Turquoise Coral Belt Buckle; Signed; 100 grams Stunning vintage Navajo sterling silver belt buckle that incorporates turquoise, coral and other elements into a beautiful oval display. Signed by "J. Charley", and the original pricing of the buckle still shows on its reverse side. Measures approximately 4" wide and 3" tall. Weighs approximately 100 grams. Rare Native American (NAVAJO) TURQUOISE CORAL INLAY STERLING SILVER BELT BUCKLE. The buckle uses coral and turquoise to implement a beautiful Navajo design. The buckle is 3 inches wide and 2 inches tall and weighs 38 grams. Marked sterling and signed by maker, HB. Navajo Handmade .925 Sterling Bear Claw Turquoise & Coral Belt Buckle by Benjamin Piaso. This is a beautifully made sterling silver "Bear Claw" belt buckle that is approx. 1 3/4 inches tall x 2 1/2 inches long and weighs 24.87 grams. 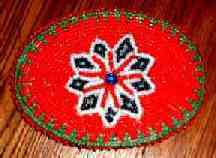 It is decorated with blue turquoise chips and red coral chips. Beautifully crafted badger claw and turquoise, this signed sterling silver buckle is 2 1/2 inches wide and 1 1/2 inches tall and weighs 32.5 grams. VINTAGE STERLING SILVER & TURQUOSE BELT BUCKLE. MEASURES 2" ACROSS AND 1 1/4" TOP TO BOTTOM. WILL FIT A 1" BELT. THE BUCKLE SHOW NICE AGE. IT IS MARKED WITH THE CROWN MARK and MARKED 925. This distinctive sterling (tested) silver buckle contains 19 perfect turquoise nuggets set in a sawtooth bezel and clustered with sterling silver raindrops. 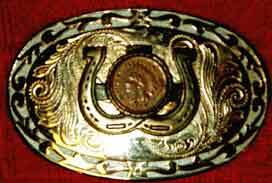 The classy buckle was made by Navajo silversmith, Tom Billy and signed "TB". This is a vintage piece that came from an old man who worked as a youth for a Wild West show. The buckle measures 3-3/8" by 2-3/4" and weighs in at a substantial 100 grams. It takes up to a 1-1/2 inch belt. Sterling Silver Bear Claw Turquoise and Coral Belt Buckle Measures 31/4" X 2 1/2", Wt. 81.6g. Inlaid turquoise with black onyx as bear paw and on sides of buckle. Inlaid coral as the claws. On the back, it's engraved with the artisans initials (Cze). Sterling silver an turquoise and coral nugget belt buckle with keeper made by Navajo artisan Angie C. (Angelita Cheama) (marked). Size: [Buckle] 40mm x 31mm; [Keeper] 16mm x 9mm. Total weight 10 grams. VINTAGE Western Horse Shoe Turquoise Abalone Engravd STERLING SILVER Belt BUCKLE signed on the back with old hallmark of a known Guadaluhara mark. The buckle is HAND ENGRAVED with a horse shoe in the center and inlay turquoise and abalone. The buckle measures about 3 1/2 inches by 1 3/4 inches and is marked on the back with what looks like ERC with other writing around the hallmark, about 36.2 grams. Sterling silver Navajo Turquoise and Coral Belt Buckle decorated with Turquoise and Coral. Buckle is made of Sterling Silver (marked) and is inscribed with a sideways "D" and "B". Buckle measures 3.25" by 2.25" and weighs 46.1 grams. Vintage Turquoise Coral Sterling Silver Belt Buckle with rattle snake by artisan Wayne C. Buckle measures 3" x 1 7/8". Sterling Silver & Turquoise Cluster Belt Buckle weighing 69 grams. Gorgeous turquoise and sterling silver belt buckle, hallmarked on the back of buckle. Buckle measures 3-5/8 inches wide and 2-1/4" tall and accomodates a belt up to 1-1/2 inches wide. Sterling silver Navajo belt buckle with ten turquoise gemstones set in sterling silver. 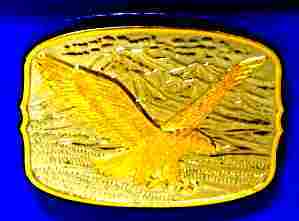 Beautiful eagle and gemstone designed belt buckle measuring 3 1/2 x 2" . Vintage Sterling Silver Turquoise made by Zuni silversmith. Belt Buckle is signed P Jones. Buckle measures 2 1/2" wide X 1 3/4" high. Sterling silver and inlaid turquoise Belt Buckle. The scene is of a rider struggling with his bucking horse. The buckle measures 2 5/8" by 1 5/8". It holds a belt up to 1" wide and weighs 42 grams. Generally ships in 2-3 days. Sterling silver belt buckle features turquoise and coral inlays in serrated bezels on a gently domed surface. The buckle is 3" wide , 2 inches tall and weighs 31.4 grams. It can fit up to a 1 & 3/8" belt . STERLING BELT BUCKLE BEAR CLAW DESIGN TURQUOISE & CORAL NATIVE AMERICAN UNSIGNED. Native American Sterling bear claw belt buckle with turquoise and coral inlaid chips. 3" by 2". Weighs 23 grams. Will accept up to 1 1/4" belt. The bckle is stamped Sterling. D.R. WILSON signed Navajo Sterling silver BELT BUCKLE "Arrowhead" design with 3 Morenci mine Turquoise Buckle measures 2.34"wide X 1.8" tall and accepts a belt up to 1.1" wide; buckle weighs a hefty 34.9 grams and is signed "D.R. Wilson" and "STERLING" on the reverse of the Buckle. Fine Navajo Sterling and gold Justin Morris Belt Buckle. Exquisite Justin Morris Arizona Navajo Indian sterling silver & 12k gold fill belt buckle measures 2 7/8" wide x 2" tall and weighs 50.4 grams. Will hold a 1 1/2" wide belt. In excellent condition. Nice horse design Sterling silver belt buckle (marked .925 sterling silver) and "GFIS" . Belt buckle is 3.75" wide by 2 5/8" tall. Vintage Sterling Silver with Turquoise and Coral Roadrunner Design belt buckle. Great Tommy Moore Navajo Sterling and Turquoise Buckle / Pendant. 6 large turquoise cabochons held by sawtooth bezels and embellished with hand dropped silver rain drops.Silver twisted wire and a hand filed rim surround the stones. Unusual and beautiful buckle.Or with the addition of a bale it can be turned into a lovely pendant.Heavy and solid; Signed: "Tommy Moore Sterling" under a pictograph logo; Weight: 23 grams; : 1 3/4" wide x 1 1/2" tall. Beautiful Texas Longhorn buckle formed with embedded turquoise and embedded blue stone to form the background. This buckle is 3-1/4 inches wide, 2-1/8 inches tall and can take a belt up to 1-5/8 inches wide. Beautiful Navajo made, Silver and Turquoise oval buckle that measures 3" by 2-1/2". This beautifully-designed buckle features a bull rider, scroll work set on a black background and a silver border. The buckle will take up to a 1-1/2 inch wide belt. Generally ships in 3-5 business days. Beautiful Navajo made, Silver and Turquoise oval buckle that measures 3" by 2-1/2". This beautifully-designed buckle features a row of Indian Head nickels (with high silver content), turquoise and coral nuggets and a flying eagle. The buckle will take up to a 1-1/2 inch wide belt. Beautiful Navajo made, Silver and Turquoise oval buckle that measures 3" by 2-1/2". This beautifully-designed buckle features a row of Indian Head nickels (with high silver content), turquoise and coral nuggets and a large trout. The buckle will take up to a 1-1/2 inch wide belt. Beautiful handcrafted silver belt buckle with Roadrunner artwork created with inlaid turquoise on a silver background. The buckle is 3-1/4 inches wide, 2-1/4 inches tall and accepts a belt up to 1-3/4" wide. Beautiful Navajo made, Silver and Turquoise oval buckle that measures 3" by 2-1/2". This beautifully-designed buckle features a row of Indian Head nickels (with high silver content), turquoise and coral nuggets and an eagle. The buckle will take up to a 1-1/2 inch wide belt. Georgeous 2" x 3" Zuni Inlaid Thunderbird Silver Belt Buckle. Accepts a belt buckle up to 1-1/2" wide. Navajo Sterling Silver with 3 turquoise nuggets belt buckle. This is a larger buckle (4-1/4 inches wide and 3 inches tall) and weighs 61 grams. Beautiful Navajo made, signed by maker, Ranger type Silver and Turquoise buckle and tip that measures 1&3/4" by 1&1/2". Both the buckle and the tip are Sterling Silver with beautifully-embedded, turquoise. The buckle will take up to a 3/4" belt. Beautiful embedded turquoise and silver design. This buckle is over 3 inches wide and 2 inches tall and accepts a belt up to 1-3/4 inches wide. This is a larger buckle (3-3/4 inches wide and 3 inches tall) and features four large tiger-eye nuggets and beautiful feather engravings. The buckle can accommodate a belt up to 1-3/4 inches wide. Usually ships in 2 to 3 business days. Beautiful Zuni made, engraved silver with silver scroll work four Turquoise/coral nuggets. Engraved silver border surrounds the buckle. The buckle measures 3" wide by 2-3/8" tall and will take up to a 1-7/8" wide belt. Beautiful engraved silver buckle with embedded Turquoise/coral flying eagle design. The buckle measures 3" wide by 2-3/8" tall and will take up to a 1-3/4" wide belt. Beautiful Navajo engraved silver buckle with Turquoise nugget in the center. The sterling silver buckle measures 2" wide by 1-1/2" tall and will take up to a 1" wide belt. Beautiful Navajo engraved silver buckle with Large Turquoise nugget in the center. The silver buckle measures 2-3/4" wide by 2-1/4" tall and will take up to a 1-5/8" wide belt. Beautiful Navajo silver and Turquoise 4-piece ranger type buckle with Large Turquoise nugget in the center. The silver buckle measures 1-5/8" wide by 1-1/2" tall and will take up to a 5/8" wide belt. Beautiful Navajo silver and Turquoise oval buckle with three Turquoise nuggets . The silver buckle measures 4-1/8" wide by 3" tall and will take up to a 1-5/8" wide belt. Beautiful embedded Turquoise and coral running buffalo oval buckle. The silver buckle measures 3-1/8" wide by 2-1/8" tall and will take up to a 1-1/2" wide belt. Oval Navajo engraved silver buckle with Turquoise and coral nugets and a golden charging bear. The buckle measures 3" wide by 2-1/2" tall and will take up to a 1-3/4" wide belt. Rectangular engraved silver buckle with embedded Turquoise and featuring a silver boot in the center. The buckle measures 2-3/4" wide by 1-5/8" tall and will take up to a 1-1/2" wide belt. Navajo crafted, turquoise covered cowskull. 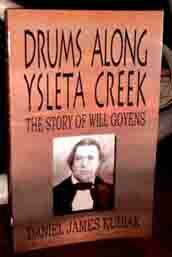 Great addition to your western or Native American decor.